Tobacco mosaic virus (TMV) capsid proteins, computer artwork. 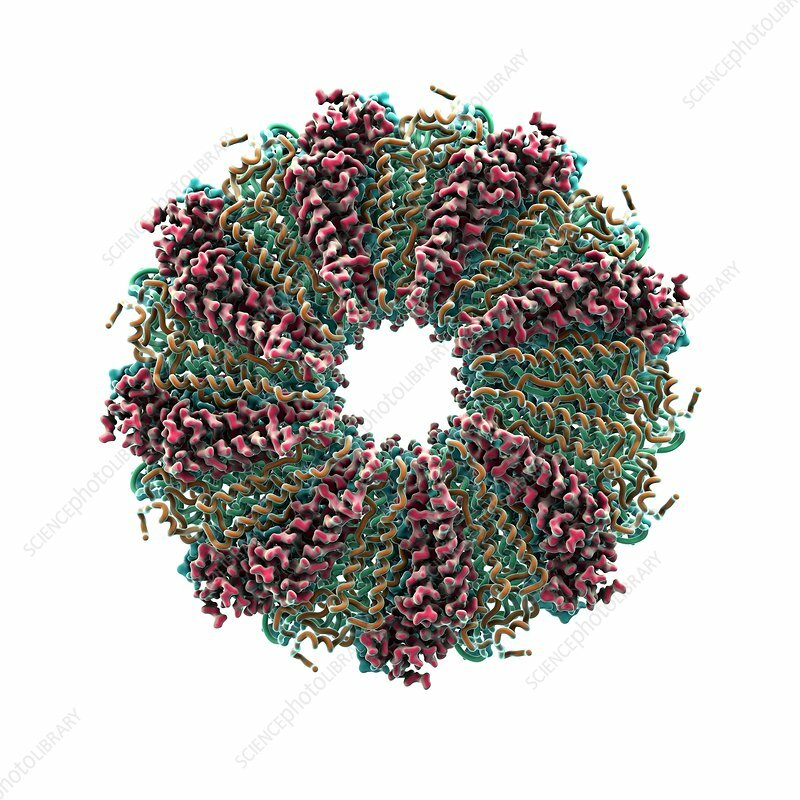 TMV is composed of a protein coat (capsid) encasing a strand of RNA (ribonucleic acid), the genetic material of the virus. Embedded in the capsid are proteins that enable the virion to infect its host's cells. The capsid proteins are arranged in a helix, giving the virus a rod-like shape. This was the first virus to be discovered. TMV infects plants, especially tobacco.